Meet this year’s SJ5K families. The Savage family is IN IT FOR COMMUNITY. Maria Savage is a wife and a Mom. Her daughter Kharmein is an eighth-grader at Liberty Middle School. During October of 2017, Maria went to visit her doctor; after testing, the doctors sent Maria home. Her kidney function levels quickly started dropping until May of 2018 when Maria was diagnosed with renal (kidney) failure. Maria also has lupus which causes the body to attack its own tissues and organs, this is likely what initiated her kidneys to shut down. The peritoneal dialysis she is on four times daily is extremely painful and makes it difficult for her to walk. To compound her challenges, Maria’s treatment has left her housebound and unable to work, resulting in their family losing their home and living with different relatives until Maria stabilizes. Her husband, Ira, works overtime delivering packages for Amazon with hopes of reuniting their family into their Canton home. Maria enjoys playing Wii games and watching movies with her family -- some of her favorites include The Greatest Showman, Marvel movies, and horror films with her daughter, Kharmein, who loves drawing and singing, and is excited to be a Canton Chief beginning this September. The family hopes that the support of the SJ5K will help them to live together under one roof again and bring hope to other families who feel alone during their medical trials. The Lombardis are IN IT FOR AWARENESS. They want to spread knowledge of the rare disease--and its symptoms-- both Lily (3 years old) and Sienna (6 months old) have. 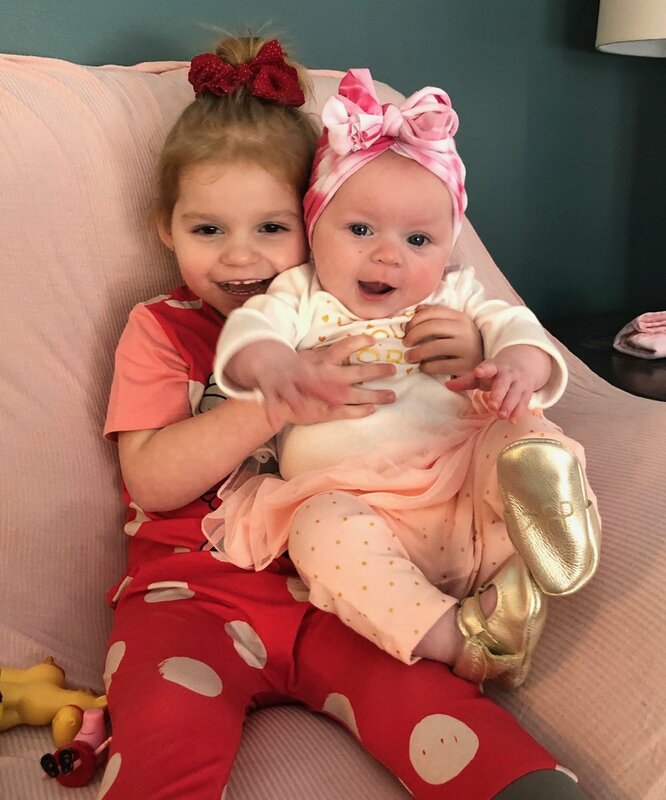 These Disney-loving girls are the baby sisters of Gavin and Mason who attend Field Elementary, and youngest children of Dana and Brandon Lombardi. Both girls have a rare disease called Pseudohypoaldosteronism Type 1 Recessive (PHA). This means that that their brains do not recognize salt in their bodies, which causes low sodium levels and increases the potassium in their system. Too much potassium can lead to cardiac arrest, and it can even be fatal. It affects their liver, heart, kidney, and stomach and they require care and monitoring around the clock. Their household is full of Disney, rubber ducks, and Peppa Pig. The two are close, and Lily is very protective of Sienna. Both girls have G tubes that feed them all the nutrition they need, but Lily loves to eat hot dogs. They make frequent visits to get their blood drawn as there is no visible sign when their sodium levels are dropping into the danger zone. They also receive regular breathing treatments at home, and are frequently admitted to Mott’s Children’s Hospital because of their weak immune system. They are supported by Saints Simon and Jude Catholic Church, family, and friends, at the SJ5K--all wearing sangria pink . Karen Little is IN IT FOR THE LAUGHTER. she says it heals more than you can imagine. Karen would know; she is battling Stage 4 Hodgkin's Lymphoma with Bulk. Karen is a sophomore at Plymouth High School after attending Liberty Middle School; her family lives in Japan and Ohio. At first diagnosed with scoliosis, Karen was then diagnosed in June of 2017 with bulky Hodgkin’s Lymphoma (a cancer of a part of the immune system’s lymph system) with tumors more than 10cm. Karen underwent chemotherapy and radiation. Neither was successful. After a stem cell transplant, 104 days in the hospital in 2018, another separate three-week stint at Mott’s, and missing over half of her freshman year, Karen is now back at P-CEP, but must take drastic precautions against infection. Karen loves writing stories online, heavy metal bands, and playing (and beating) her 3rd grade brother, Ren, in Minecraft and Switch. Karen is currently undergoing immunotherapy and her last treatment is scheduled for March 27, only a little over a month before the SJ5K, where her family will be represented by aqua marine t-shirts. The Adams ARE IN IT FOR EMPATHY. they’d like others to try to walk in their shoes. Kim Adams is a Mom and wife who raised her family in Plymouth-Canton. Her daughters, Katie and Megan, both attended Tonda, Pioneer, and Canton, where they golfed and did gymnastics. In January 2018, Kim had a cerebral hemorrhage (brain bleed). This led to emergency surgery. Part of her skull was removed, placed into her abdomen, and eventually put back. After her surgery, she was left with no use of the left side of her body. She has spent the past year recovering and gaining back her strength as she learns all about neuroplasticity: the brain’s ability to form new connections to compensate for injury. Kim enjoys being creative-- especially by scrapbooking--and biking. She is fighting to regain these pursuits. However, it is still hard for Kim to walk, and she has limited arm function. Recent seizures have postponed relearning how to drive. Kim and her family have attended SJ5K races dating back to the first in 2011 never for a moment expecting their family could one day be the recipients. The Adams’ want the community to know that life can change in the blink of an eye. Other than her family and friends, Kim’s support system includes Our Lady of Good Council, the Recovery Project, and Kim’s Army of Angels. During her recovery, Kim wore a lavender helmet hand-painted by her daughter, Katie, and has chosen this color to represent her family this year at the SJ5K. Kim Little and her family are IN IT FOR THE LONG FIGHT. Kim is a loving wife and mother of two boys. Her oldest son, Jacob, is an MSU Senior (Canton High School Class of 2016) and her younger son, Chris, is a senior at Canton where he has played varsity football and wrestled; he is also the Assistant Wrestling Coach at West Middle School. For two years, Kim was misdiagnosed with a benign tumor, but knew she was struggling with something more severe. In April of 2018, Kim went in for multiple visits until a series of tests concluded that she has Stage 4 Breast Cancer. She had tumors in her pelvis, spine, liver, and cancer in her left breast. The tumors continued to grow. After six strenuous rounds of chemotherapy, her liver tumors have shrunk. In March 2019 she will begin her third round of chemotherapy to continue the fight, which her husband, Jason, says is a daily and life-consuming struggle. Kim worked as a crossing guard at Bird Elementary and in the cafeteria at Smith Elementary. She loves cooking and baking and enjoys supporting her sons at their sporting events. Kim has the love and support of her family, the Suburban Collection, and Canton athletics as they continue to battle the long fight until Kim beats cancer.